Love is the emotion that sustains mankind. When it is of the romantic sort, it is all the more valuable. It is an emotion that is fragile in many respects but extremely solid when felt alike by the two people involved. 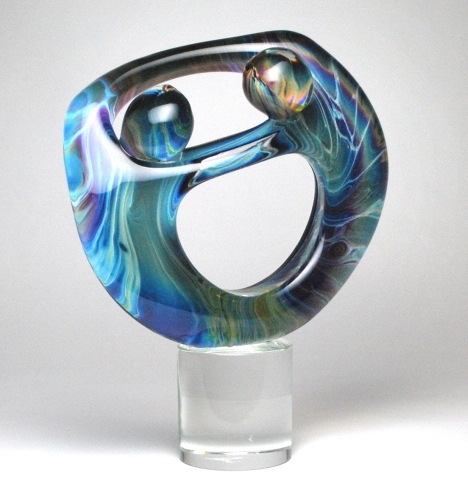 What will represent such an emotion more than the exotic Murano glass articles and figurines? 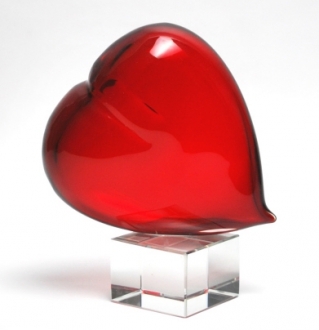 Impress your partner with a Murano glass gifts on the Valentine’s Day this year. Birds are aerial creatures that are free and un-obsessed. 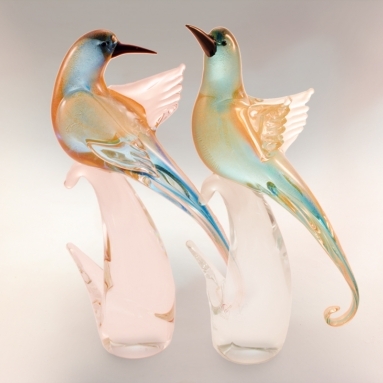 If you want to impress your lover with your all inclusive love, you should think of presenting him or her with a pair of beautiful Murano glass birds. The two parrots sitting on the crystal clear glass perches striking the most romantic pose, when put together, will warm any lover’s heart. Your partner will feel the same kind of emotion towards you, wherever his or her gaze falls upon the figurines on the table. Doesn’t the magnificent swan pair with one of them bashfully looking down while the other proudly raises his head remind you of one of those private moments? It is suitable gift for your partner on the Valentine’s Day. He or she will cherish it dearly. The glorious blue and gold Murano glass birds are examples of superior craftsmanship and an ornament to any show case. Bead necklaces are in vogue at present and your sweetheart will surely appreciate if you gift her with one of those fabulous bead necklaces of the Murano glass jewelry collection as a Valentine’s Day gift. She will be very much pleased about your insight into the fashion trends. Girls are always impressed with the men who move along with trends. You can impress your partner with a piece of Murrine glass item. These items are very precious because they are crafted using 24k gold. 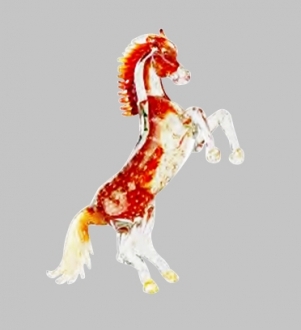 These Murano glass sculptures are beautiful collectors’ items. 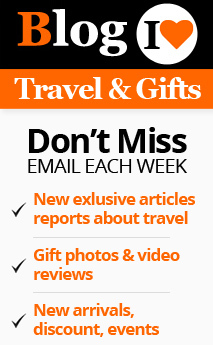 When you gift somebody with one of these items, that somebody will instinctively know how much you value him or her. Apart from the price of the miniatures, he or she will realize the priceless love you harbor in your heart. 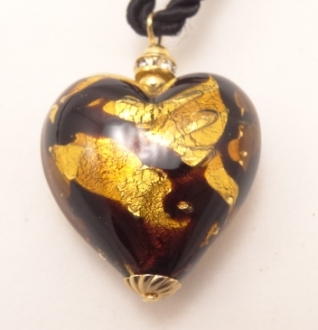 Give her a Murano glass heart pendant to wear it around her neck. The radiance of the pendant will gladden her heart every time she looks into the mirror and she will be reminded of your love for her. These pendants are strikingly glamorous pieces of ornament that any girl will be proud to own. So give her a reason to be proud of your love on this Valentine’s Day. A Murano glass necklace, complete with bracelet and ear-rings is an extraordinary item of ladies jewelry. They are unparalleled in their luminosity. This Murano glass jewelry is a suitable Valentine’s Day present for your life partner. Its luster will represent your flaming passion for her. What else will gladden the heart of a woman more than this grey and silver creation? 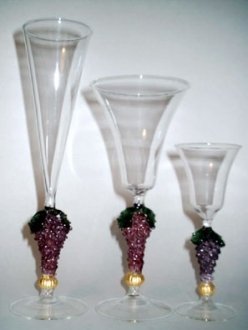 There is nothing like a Murano glass gift on a Valentine’s Day. The exceptional skill and dedication of the artisans are evident in every piece. 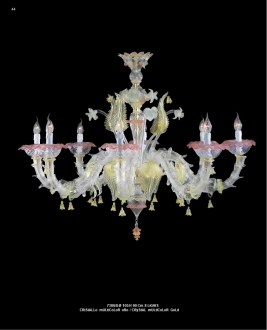 The traditional glass art of Murano Island has now become a passion world over. Treat your darling on this Valentine’s Day with élan.